Tired of the single-player grind and ready to share your Minecraft creations with the rest of the world? Our guide to setting up a Minecraft server will help you get started with the game’s mulitplayer mode. Soon, you’ll get to experience the joy of having your friends sneak into your base while you’re offline and rearranging all your torches into some offensive shape. You can’t get thrills like that while playing on your own. Before you can run a server, you’re going to have to download the software. 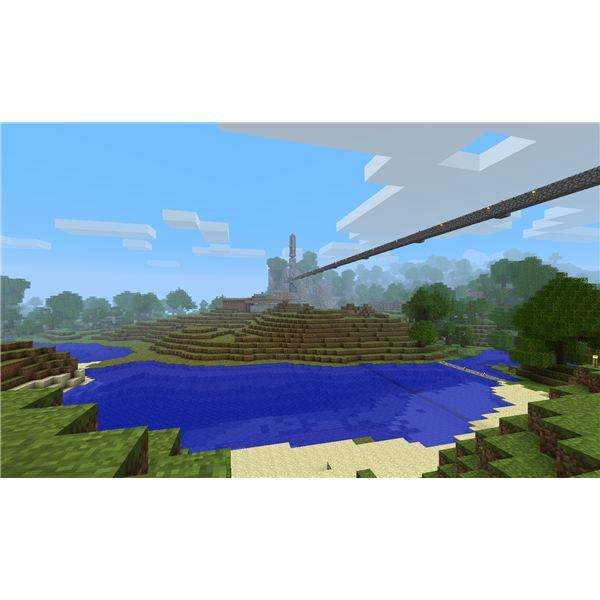 Head on over to the official Minecraft downloads page (likely the same page where you downloaded your copy of the game originally) and download Minecraft Server.exe. Make sure you save it somewhere you can easily find it. It’s not a bad idea to place the .exe in a folder before you run it, as it will add several files to the location where it’s originally run, and you’re going to want to be able to find these files in order to make changes to your server. Dump the downloaded file into your newly-created “Minecraft Server" folder and move on to the next step. Next, head over to the Java download page and ensure you’re running the latest version. Simply click on the big red “Free Java Download" button to start the process. Once you’ve updated Java (or found out that you don’t need to), move on to the next step. The next step is to navigate to the folder where you saved your Minecraft Server.exe and actually run the program. If, for some reason, Windows has not recognized that the program is, in fact, an executable file, you may need to add the .exe extension to the file name. If you see the Minecraft symbol as the program’s icon, you are good to go. Double-click the icon to run the program and start your server. The most techincal part of this process is setting up port forwarding for your individual network. Outside players will not be able to connect to your server until you’ve opened port 25565 and forwarded it to your machine. You do this by opening up your router’s configuration program. Most routers can be accessed by typing 192.168.1.1 into the address bar of a browser window. For those new to the port forwarding process, a resource like portforwarding.com can be immensely useful. You can use a port checking website to determine if you have successfully opened port 25565, just make sure you do the check while the server is running. Once your port is successfully opened, you’re ready to give out your IP and invite your friends to connect to your server. The easiest way to find your IP address is to use a site like whatismyip.com. The IP displayed on the page is the one you should give out to those you’d like to connect to your server. 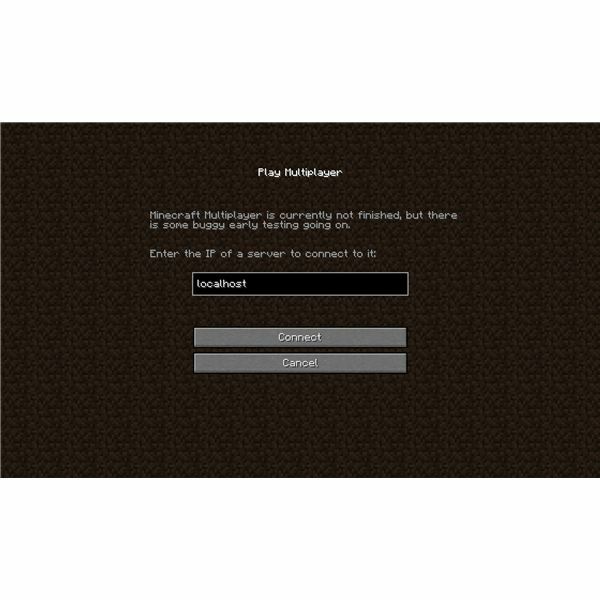 For outside players to connect to your server, all they’ll have to do is open Minecraft, choose “multiplayer" and then type your IP into the address window that appears. They should connect automatically as long as port 25565 is opened and you haven’t yet set up a whitelist (which allows only certain players to connect to your server). To connect to your own server, open Minecraft and choose multiplayer, then in the address window type “localhost." You can connect by typing in your own IP, but doing so using the localhost address should cut down on the lag you’ll experience. Now, you and your friends can collaborate on massive construction projects, fight Creepers together, or destroy friends’ bases as soon as they log off. Keep in mind that the Minecraft Server, like Minecraft, is still in beta, so you’re going to have to deal with the occasional disconnect or game crash. Still, the program is remarkably stable for beta, and as fun as Minecraft is on your own, it’s exponentially better when played with friends. Press “T" to open up the chat window and send messages to anyone else on the server. If your friends are being particularly destructive, or you just want to flex your muscles as the server host, use the /kick (username) to forcibly remove anyone from your server. You will need to leave the server running in order for your friends to access it. Keep this in mind when you’re shutting down your machine. Is someone going to want to log on while it’s off? You can close the Minecraft program, just leave the server window running. References and images from Minecraft.